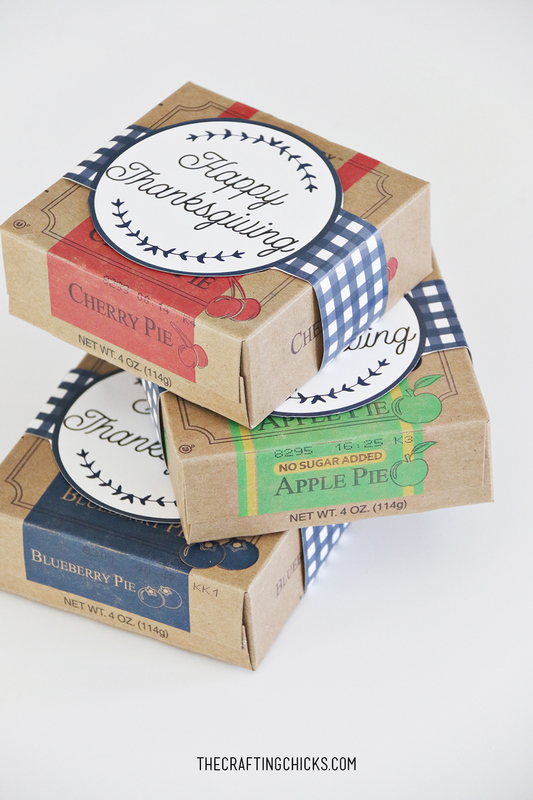 Have you seen a sweeter Thanksgiving favor! 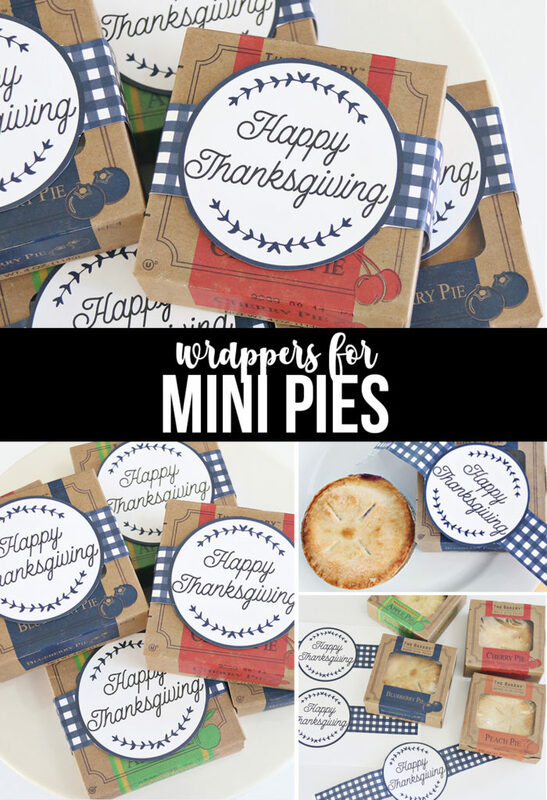 These Thanksgiving Mini Pies with Tags make for such a cute little gift this Thanksgiving. 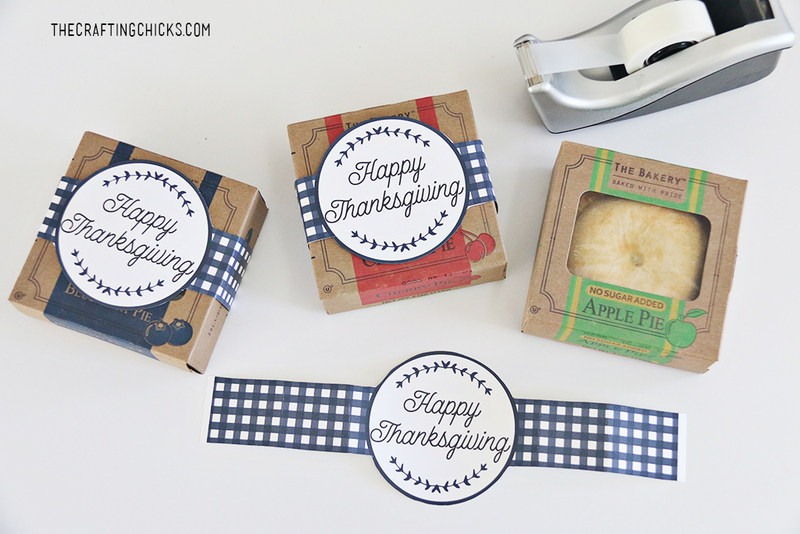 You can find these tags in our Shop and they fit perfectly around The Bakery mini pies from Walmart. 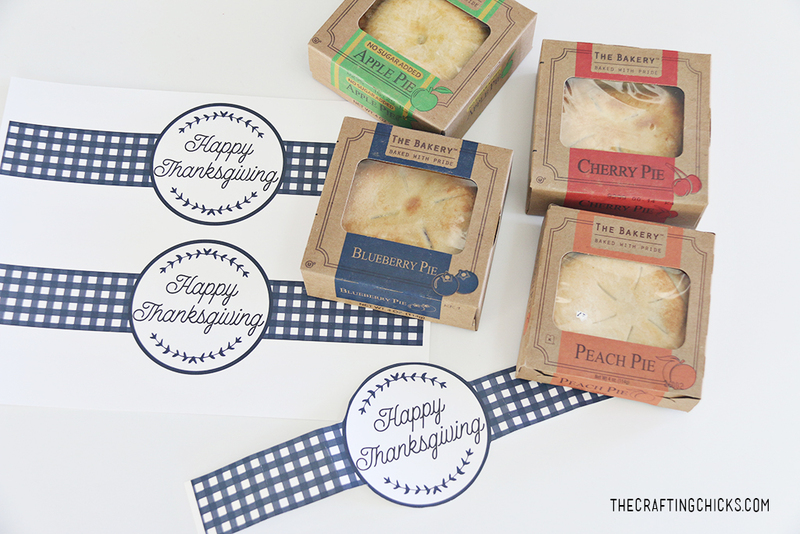 The best part!…the mini pies are 2 for $1! They are delicious too! 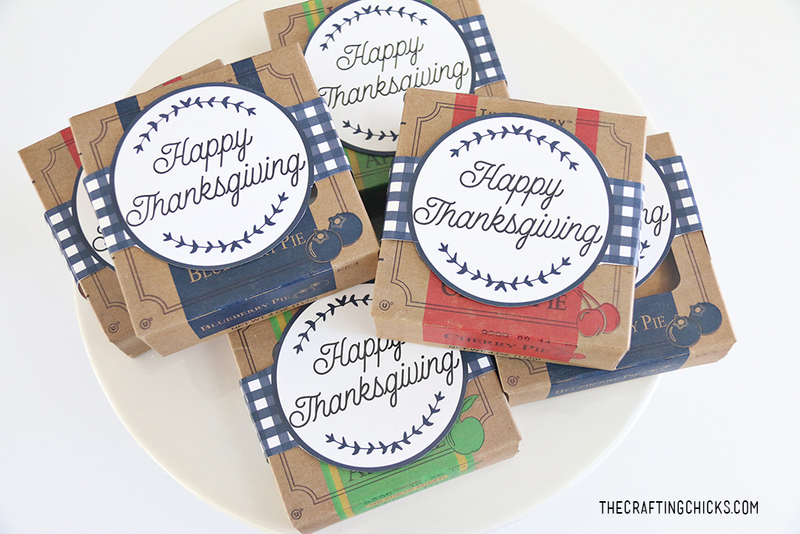 Place at your Thanksgiving Table place settings for an extra sweet hostess touch! 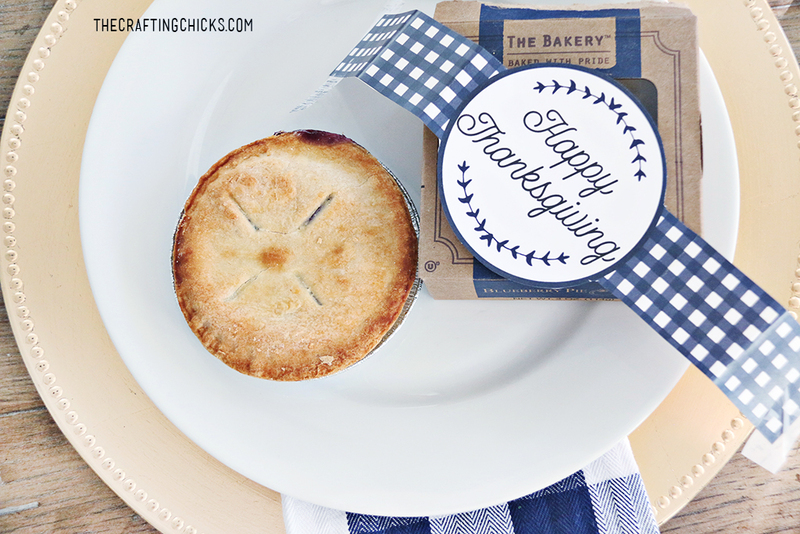 We love the navy and white plaid for Thanksgiving this year! 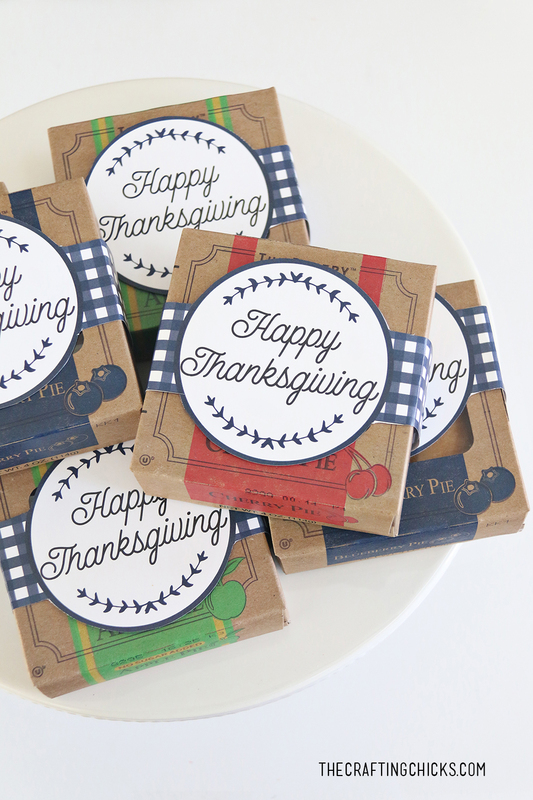 1-Cut out the Printable Happy Thanksgiving Pie Tags. 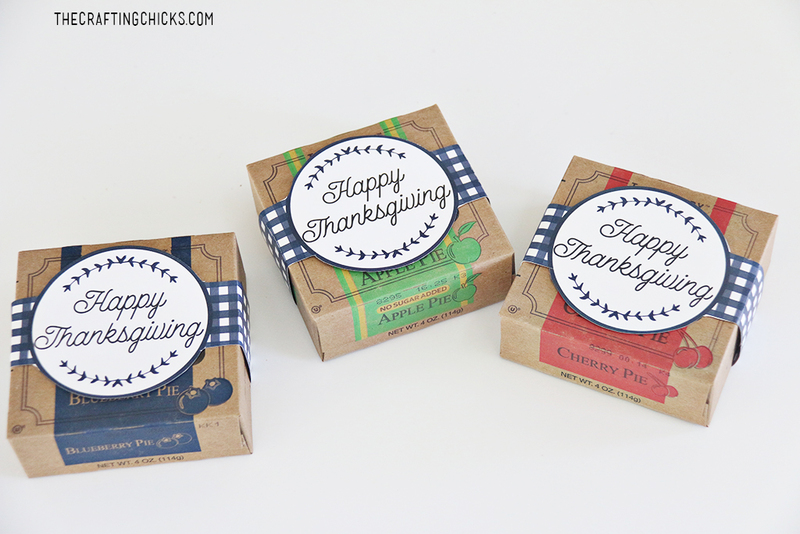 Serve at your Thanksgiving feast or spread some love this Thanksgiving my sharing this treat among friends, family, teachers, and neighbors! Right! Such a fun idea for Christmas!